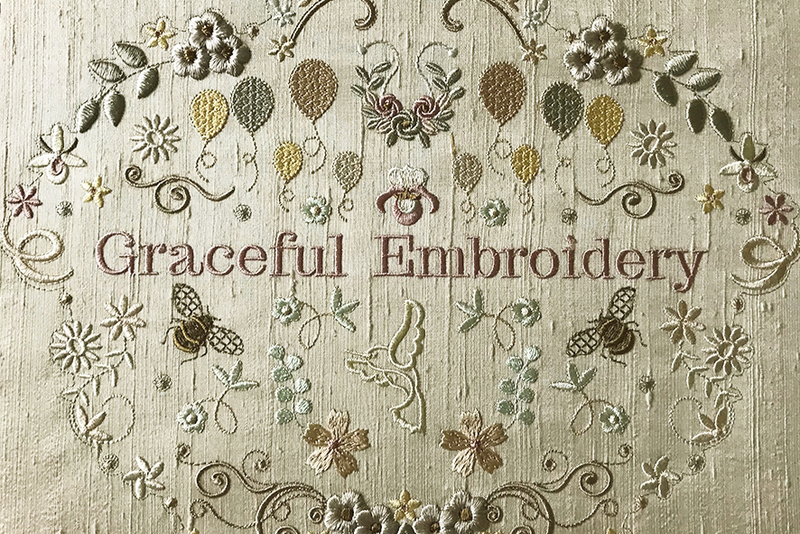 To celebrate ten years of creating machine embroidery I combined elements from several of my more recent collections. This combination has several variations and I have created lots of options within this new set called Embroidery Celebration. I have recently invested in some new colours from Sulky and I have used quite a few for this collection. 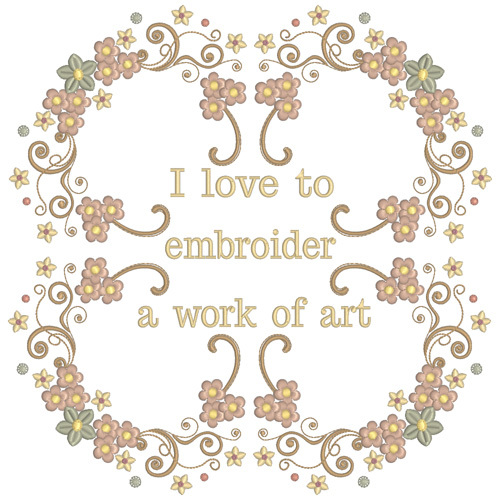 This is a large design measuring 235 mm x 285 mm (9¼” x 11¼”) so I embroidered it out in my 360 mm x 260 mm hoop, but it has been divided into smaller sections for 5″ x 7″ hoops and I have included a template to help you do this. 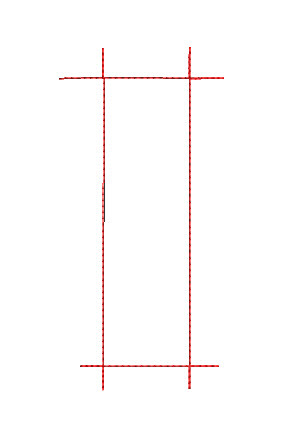 This is your template to be stitched on your stabiliser. Embroider out GFE-EMC-12 between each of these. Lastly embroider out the text you have chosen. Obviously you do not have to stick exactly to this sequence of stitch outs. Plan ahead and choose the sequence which suits you best. 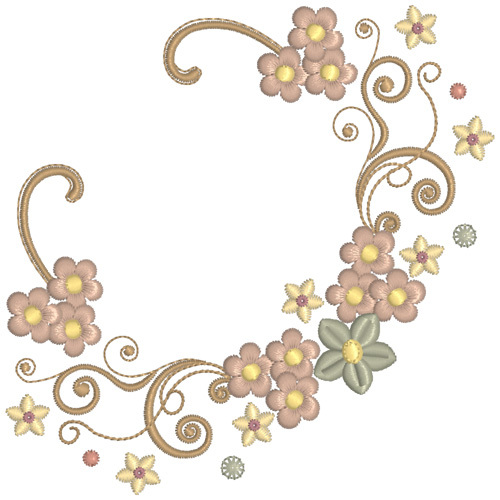 Some of these designs can be combined if you have larger hoops. 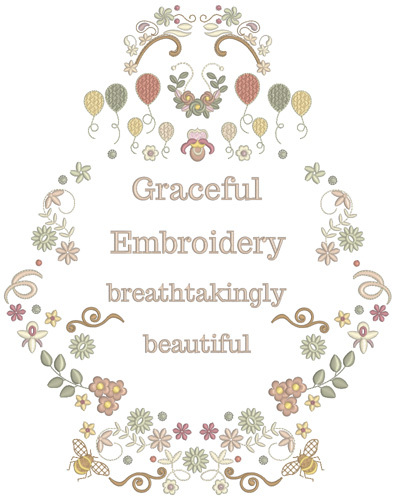 As well as the text Graceful Embroidery you will find the following embroidered texts: keep on embroidering, breathtakingly beautiful, I love to embroider, born to embroider and embroider a work of art, so you have plenty of flexibility which I always try to do within my collections and sets. You may want to create your own text with these designs which fit 4″ by 4″ hoops. I have been experimenting to see if I can improve my Outline alignment stitches (OAS). This set has a new type of OAS which I would like to have your opinion about. 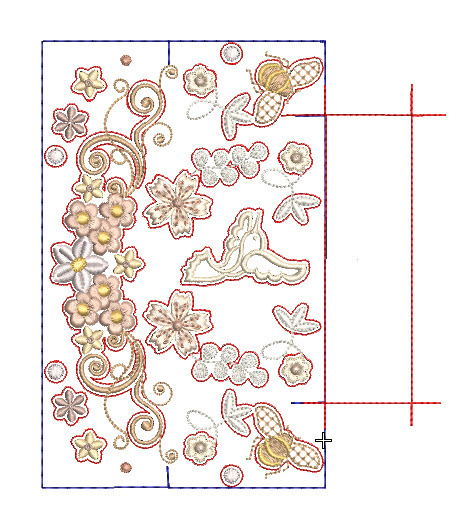 Instead of a complete outline, I have introduced outline alignment stitches that surround the main elements of the design. As these are stitched out firstly on just your stabiliser, you can see the design clearly so you get separate smaller outlines. Even though your machine will stop and trim as it goes from one outline to another remember these stitches do not show as they are only stitched on to the stabiliser before the fabric is attached. The fabric is attached with temporary adhesive, running stitches or pins well outside of the stitching area. When combining several designs this method allows you to see exactly where the designs will stitch so you can place your fabric accurately over the stabiliser. 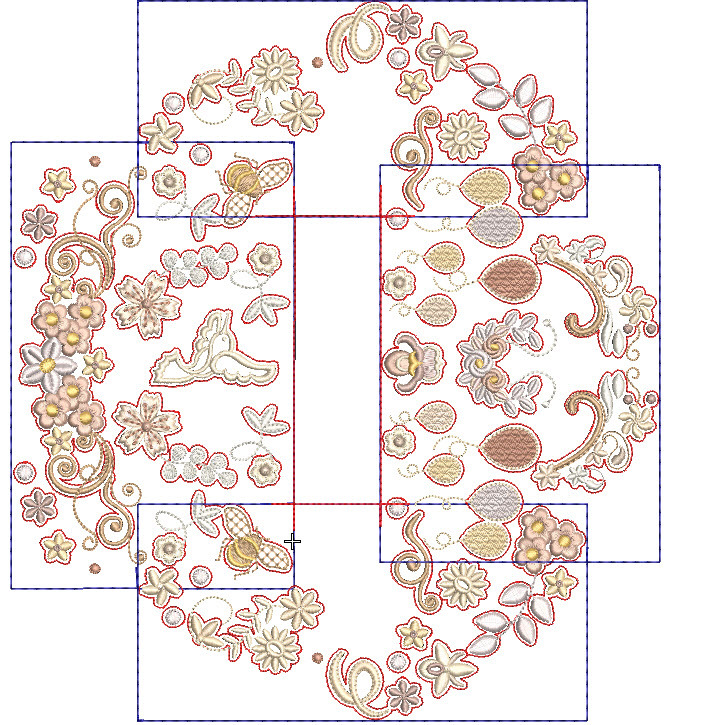 If you study the image above with the one below you will see that not everything falls within the OAS but I think it gives a better idea of where everything will be embroidered. I hope that those of you who use my OAS on regular basis will let me know whether you prefer this new type or not. 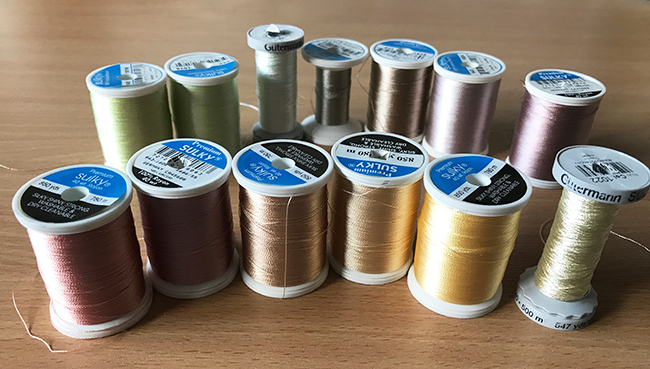 Here are some of the new embroidery threads which I have been trying out in my embroidery studio. These are newer shades introduced by Sulky a while back, but they are not available in the UK so I stocked up while I was in the USA. I love the shades and it is no surprise to those who know me that there are no primary colours among them. 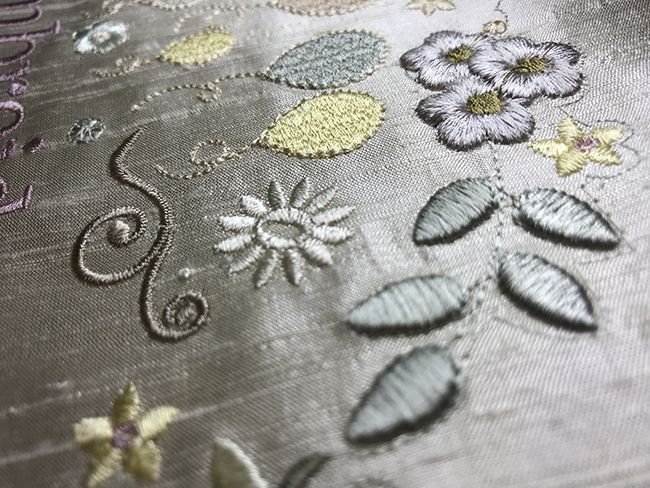 These subtle shades work well together and give a more harmonious look to your embroidery. I find it helpful to place my threads in rows sorting them into rainbow colours to see the contrasts between each subtle shade. 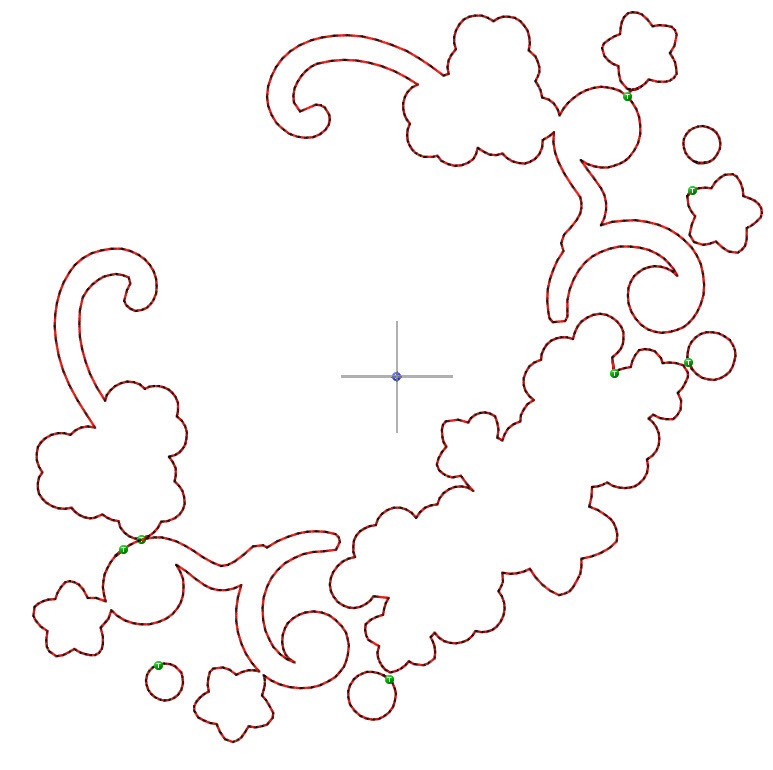 You can see that there are ten balloons in the main design, one for every year I have been digitising. Change their colours by some simple editing your software, and you may wnat to consider stitching their outline in metallic thread. 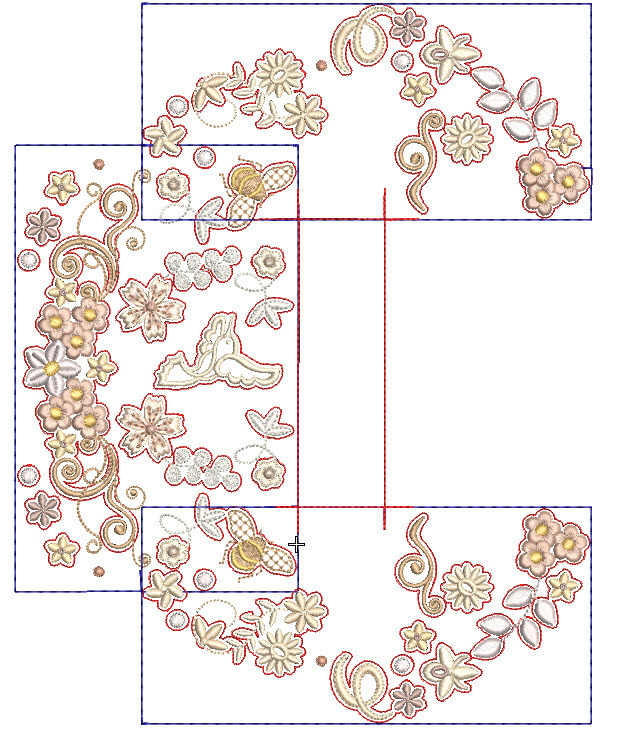 There are other small designs in the set which can be used for corners, panels and borders. How about this combination for a quilt block? 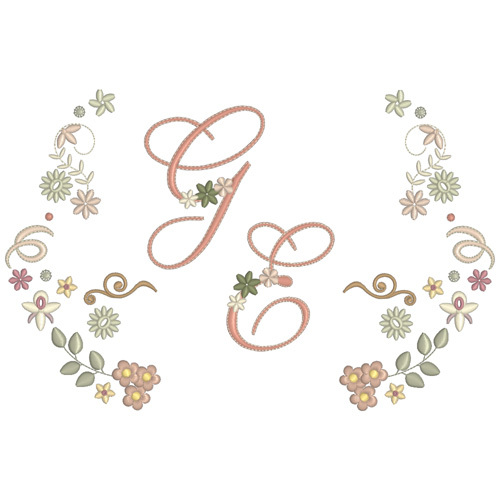 Several of the designs are frames which could be used for other fonts and monograms like the new Grace Font which can be stitched as a shadow work design. Lastly I created this combo. Sorry I couldn’t resist this one! As you can see there are probably endless combinations that you can create with these designs. 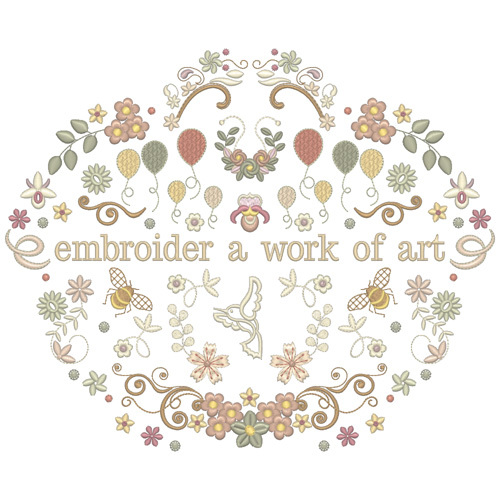 Celebrate your passion for embroidery but using them on a very special project to display the beauty of machine embroidery. Use your own unique combination to embroider a gift to give this Christmas, such as a bag or purse, a cushion or a pillow, or an apron. 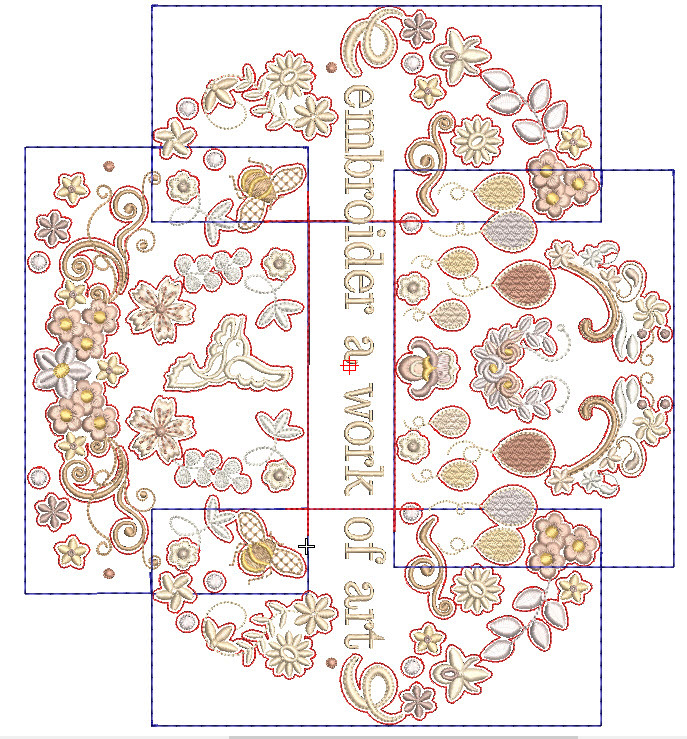 How about just framing the finished embroidery to hang on the wall, or incorporate these and other designs into a larger project such as a wall hanging or quilt! Embroidery Celebration will be released on Tuesday 7th November, 2017. To pre order now for just $20 join my embroidery group. 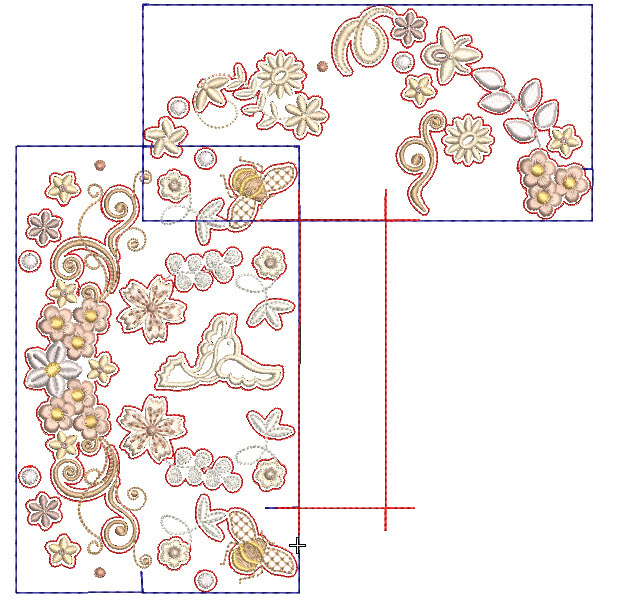 This entry was posted in Discussing machine embroidery, New Designs and tagged combining embroidery designs, development of embroidery, machine embroidery, Outline alignment stitches, The importance of colour. Bookmark the permalink. I love the colors you chose, so I have made my list and I’ll be ordering them this evening! I also love how you put all these elements together. You have such a wonder eye for this! Thank you for another wonderful design set.